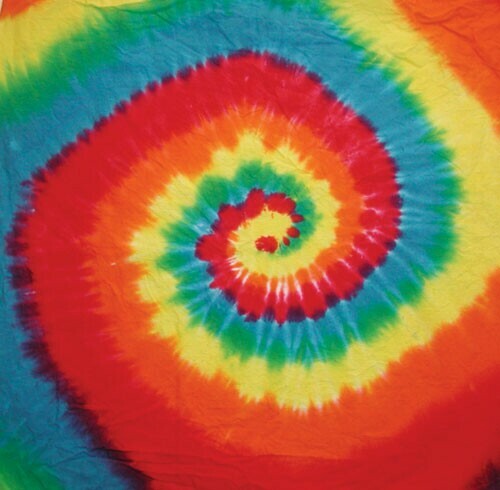 20 x 20 inch 100% cotton rainbow spiral tie dyed Bandana. Wrap your head in something cool. Fido would look good with one of these bandanas too. made in the USA and tie dyed by hippies.